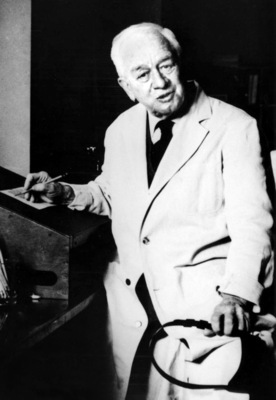 In 1911 Peyton Rous (1879-1970) made the startling discovery that a virus could cause cancer. A farmer had brought him a hen with a large lump in her breast. Rous, a pathologist, diagnosed the lump as a sarcoma—a tumor of cells in the connective tissue. He first tested whether the tumor could be transplanted into chickens closely related to the original one. It could, and with each passing, the tumor became more aggressive. To find out whether an infectious agent caused the cancer, Rous prepared an extract—he minced a sample of the tumor tissue in saline solution and passed this through a filter to eliminate bacteria and tumor cells. Then he injected the extract into healthy chickens. Contrary to his expectations, it produced new tumors.